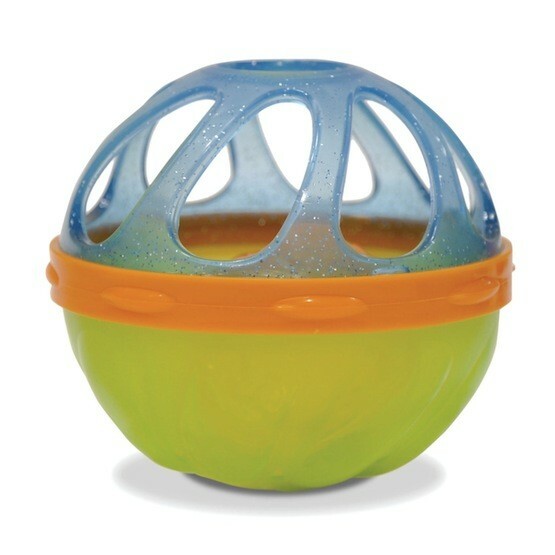 Baby will be entertained during bath time shaking, straining, rattling and rolling this colorful bath ball! This ball is designed with a soft, holed top to be easy for little hands to grasp. Great for play both in and out of the bathtub! Three colors are available: blue, pink, and yellow.